Scott's 283 Used, 283A Used, 284A Used and 318 MH. Issues of 1934 to 1939. Mint Never Hinged - IMPERF. We appreciate your cooperation with this. COMBINING ORDERS. Direct communication is always the best way to fix an issue. AND ALL POLICIES. If there is a fault we will describe it. NOTICE #2. Fresh Bright color Full original gum. Combined invoice will be send in 24 hours. NOTICE #2. Get Supersized Images & Free Image Hosting. Combined invoice will be send in 24 hours. Condition very fine. 1963 - Mi.738A/42A Neufs/Mint . 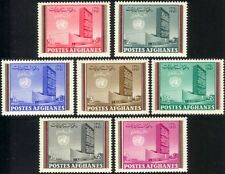 Afghanistan 1968 S/Sheet MNH. International Year For Human Rights MNH. 1963 - Mi 764A à 768A. PORT DANS LE MONDE ENTIER. 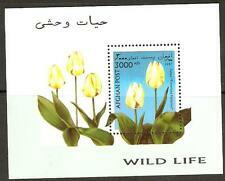 Afghanistan 1989 Stamp MNH. Item is in Mint Condition As In Picture. Just browse and enjoy. I look forward to doing lots of buisiness with you. I am a small dealer with a large inventory. Archaelogical Finds At Bagram 1st Centenary BC To 2nd Centenary AD. 1968 - Mi.1025. PORT DANS LE MONDE ENTIER. Good condition set of Afghanistan. Mint Original Gum Never Hinged Stamp. PORT DANS LE MONDE ENTIER. Ruins of Qalai Bist and Globe. 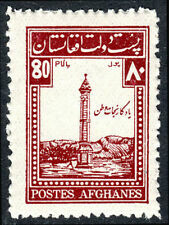 Afghanistan 1950, SC RA8, MNH. Beautiful sheets. Nice add to your collection. SORRY FOR THE INCONVENIENCE.